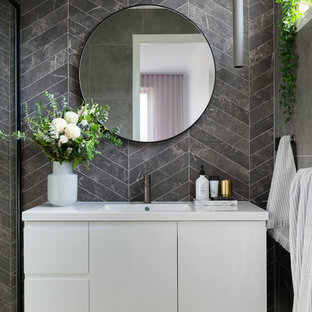 A modern ensuite, with marble look chevron tiles and concrete look floors. 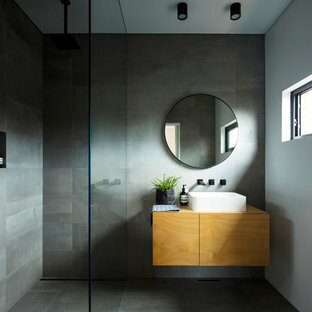 Round mirror, floating vanity and gunmetal tap wear. Built by Robert Paragalli, R.E.P Building. Photography by Hcreations. 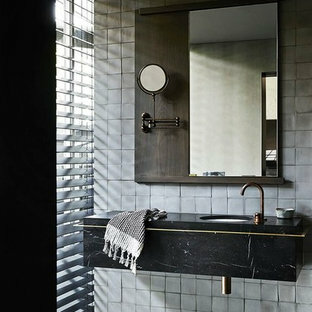 Melbourne designer Fiona Lynch picked up the award for Best Bathroom Design with 'Fitzroy House'. 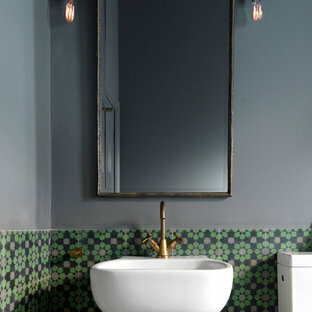 She specified the Perrin & Rowe vanity mirror for the muted and moody bathroom. 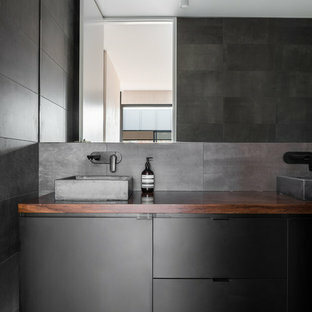 By d KISER design.construct, inc.
designed in collaboration with Larsen Designs, INC and B2LAB. Contractor was Huber Builders. 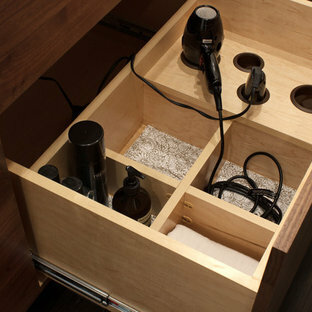 custom cabinetry by d KISER design.construct, inc. Photography by Colin Conces. 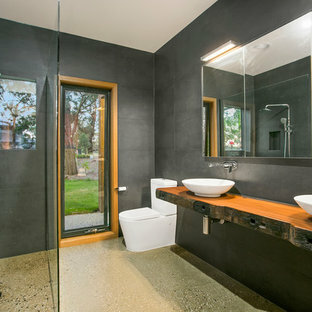 By Prestige Custom Building & Construction, Inc.